During topic teams the children made a Dove handprint wreath. They worked in pairs to first paint their hands in lots of various skin -tone colours. 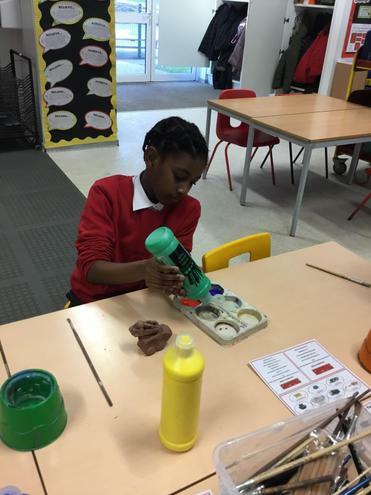 The children experimented with mixing colours to get the skin -tone colours they needed. They painted between 9 and 12 handprints and stamped them onto some white paper. Whilst drying they made a Dove. They had to trace their hand with their thumb extended and 4 fingers close together onto the middle of a white piece of paper. 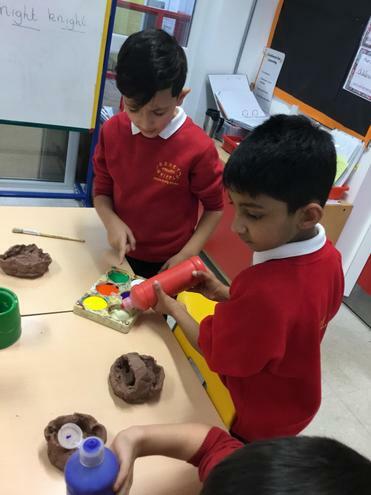 They glued on a orange beak using coloured card and drew on a wing and eye with a black crayon.They then cut out carefully their hands and placed them round the Dove to make a wreath. Topic Teams Spring Term 1. 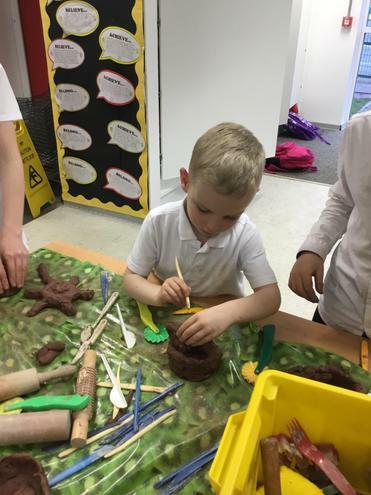 During topic teams the children designed their own pots using clay. 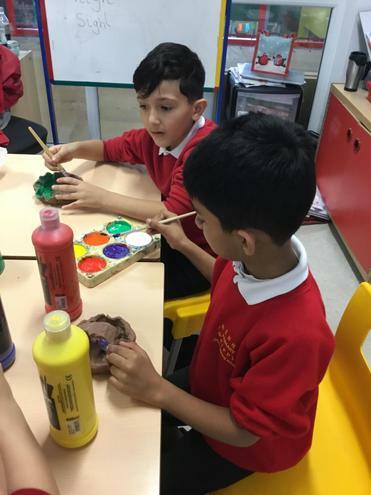 They first had to design what they wanted to make on paper and think about shape, size and what patterns and colours they were going to use. 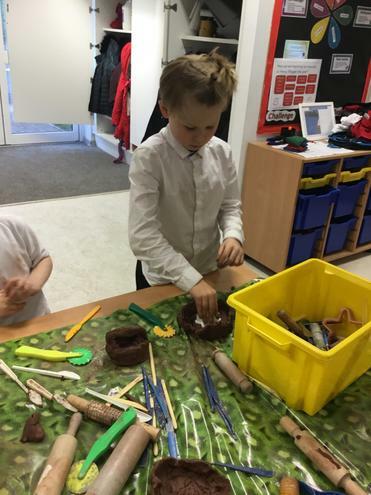 Then they started to create their own pots. 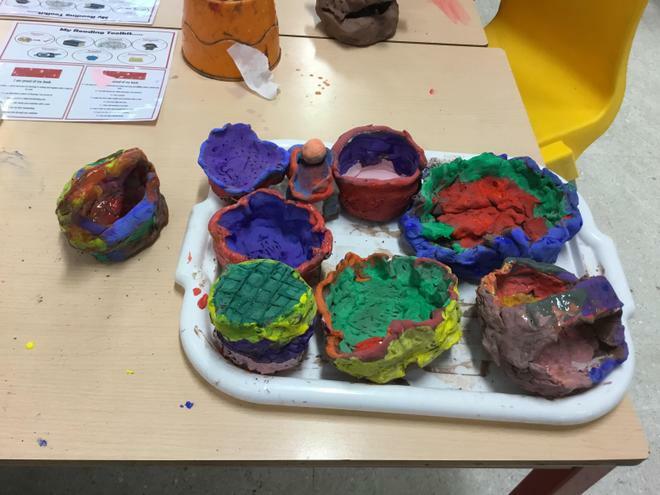 Some made round large pots, whilst others made smaller pots with lids on. 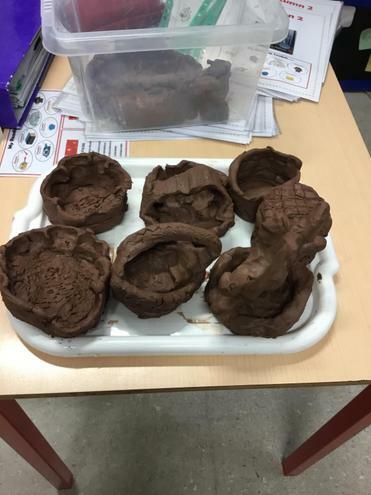 One child made a pot shaped like a motor bike. 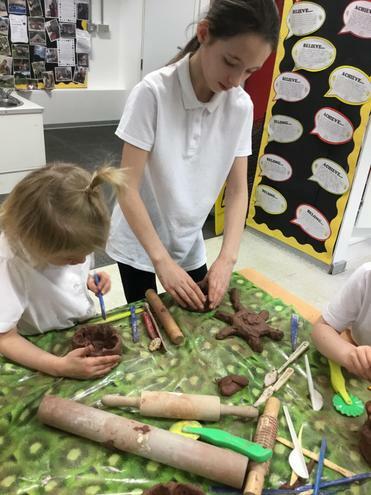 They first had to roll, shape their pots before using their thumbs to smooth the clay out. Got very messy but was enjoyed by all. Next they used different tools to create patterns and designs. They then had to be left to dry before painting them. Once dried they had to make their own colours using paints. 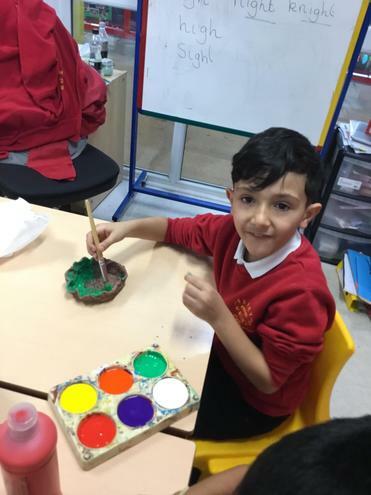 They were experimenting mixing colours together to see what colours it made before painting their pots. 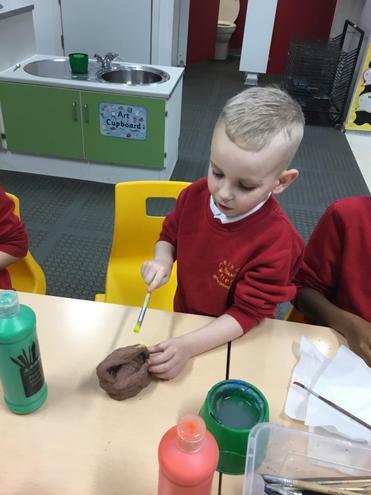 They had to decide which paint brushes were best to use for the larger or smaller parts on their pots. Lots of decision making.